Which Russian fortress has a portal to another world? According to one of the legends about the oldest Russian fortress Naryn-Kala, Allah could be heard through the “Day of Judgment Gates” located there. 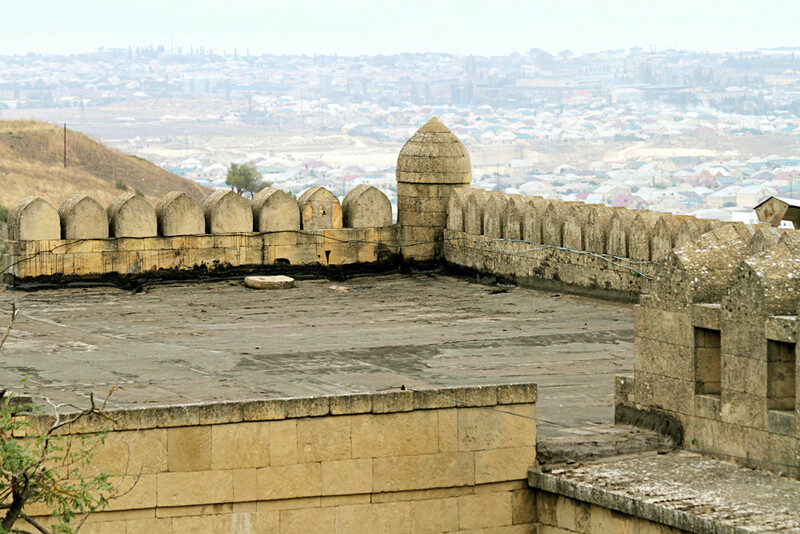 The oldest fortress in Russia known as Naryn-Kala is located in the city of Derbent in the mostly Muslim Republic of Dagestan. The largest stronghold in the whole North Caucasus, it was founded in the 6th century by the Persians, when the city was under the rule of the Sassanid Empire. There are many versions about what its name means. The most popular among them is that Naryn-Kala means “sunny fortress” in the Turkic languages. Naryn-Kala became part of the huge fortifications system known as Dag-Bary (“mountain wall”) that included a wall that stretched for over 40 km from the seashore to the mountains. Dag-Bary was designed to protect Western Asia and the Transcaucasian region from the northern nomads. It is said that seven times as many materials were spent on the construction of Dag-Bary than on the Great Pyramid of Giza. According to legend, 10,000 warriors, 6,000 master craftsmen and 300 architects worked hard to create this impressive complex. 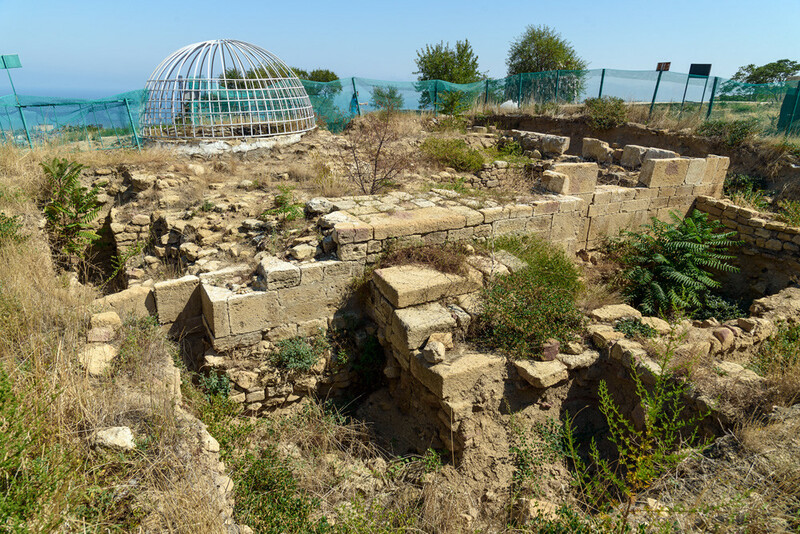 Persian Shahanshah (King of Kings) Khosrow I arrived in Derbent to observe the construction in person. However, later conquerors came from the opposite direction. 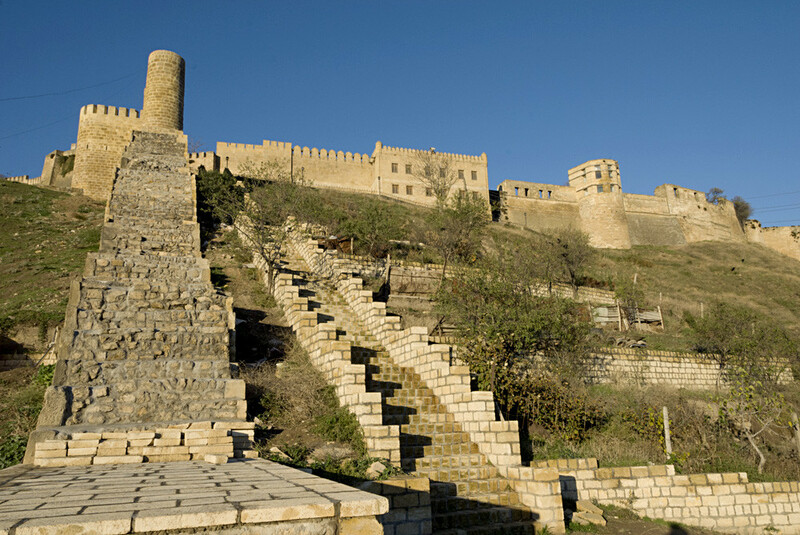 In the 8th century Derbent was captured by the Umayyad Caliphate. The Arabs also valued the strategic position of Naryn-Kala and used it as one of the main centers for spreading Islam in the North Caucasus. The strong citadel with walls 3 meters thick and 20 meters high survived many troubled centuries, including numerous changes of power in the region and the devastating invasions of the Seljuk Empire and Timur. Other parts of Dag-Bary, primarily the long wall, happened to be less fortunate and were permanently destroyed. In the 17-19th centuries, the region became a bone of contention between the Russian and Persian Empires. 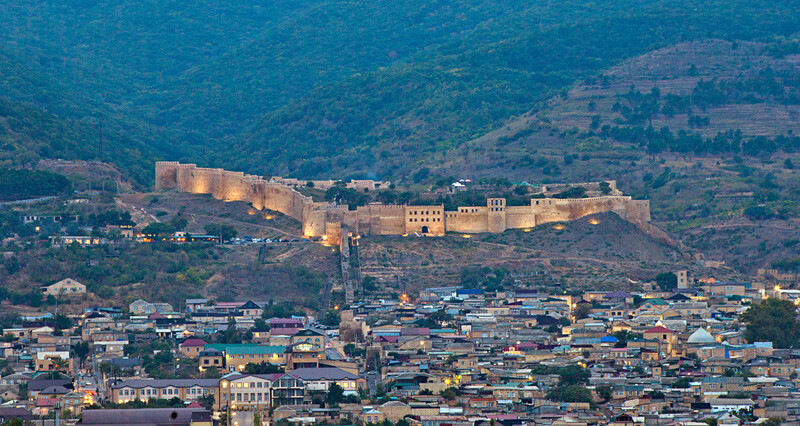 In 1813, after many long wars, Derbent and Naryn-Kala Fortress became part of Russia. 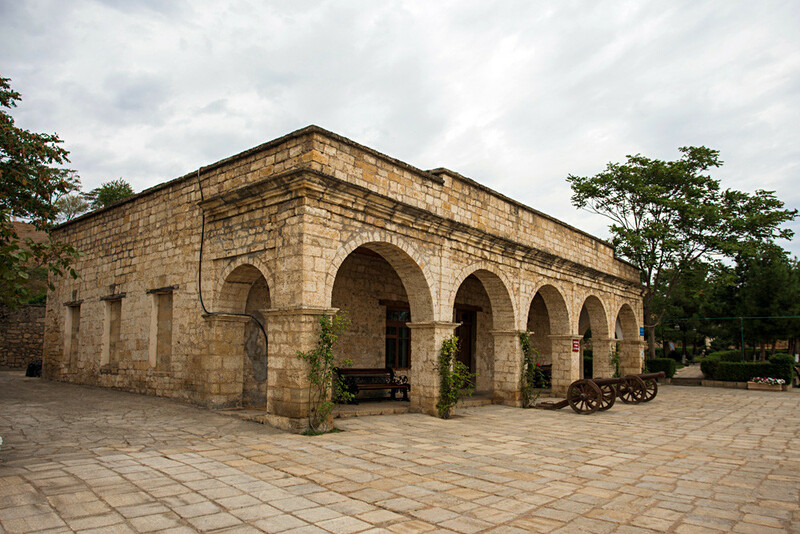 Some buildings in the fortress are unique. 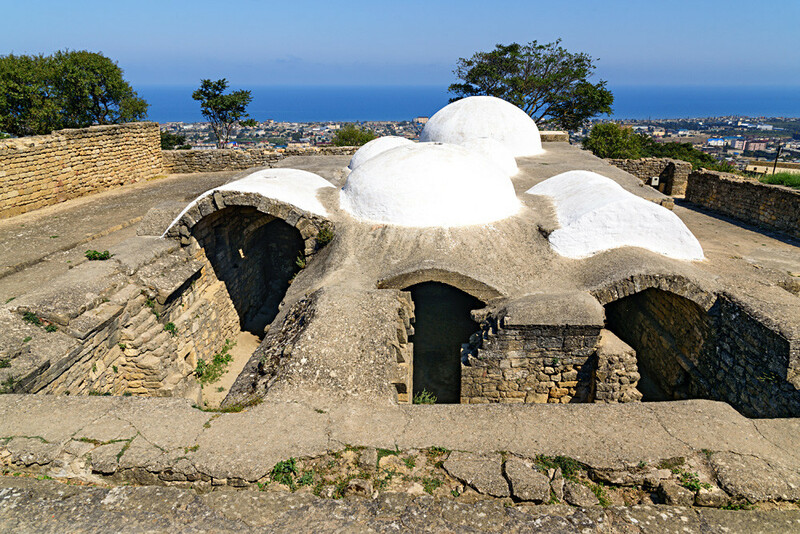 An ancient underground Christian church of the 4th century was used by the Arabs as a reservoir. 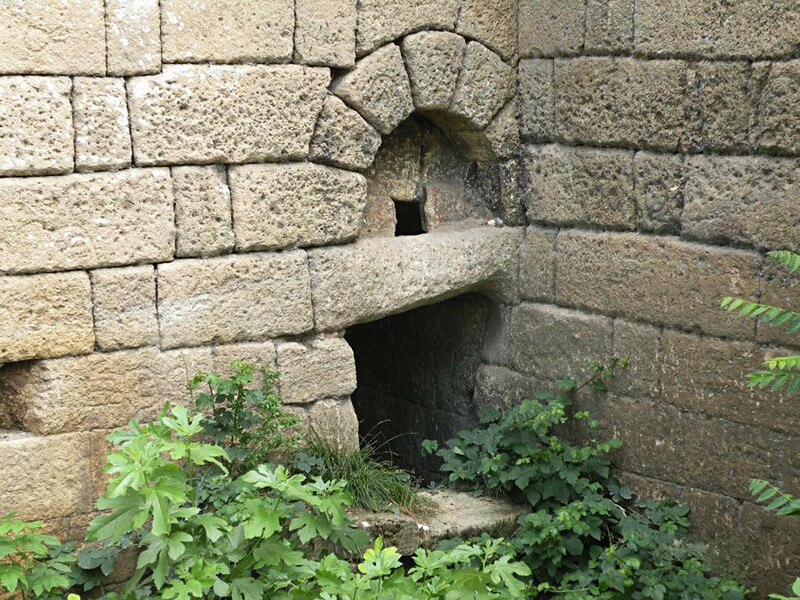 Connected to a spring, it helped the stronghold survive any siege by supplying water. The remains of the luxurious palaces, noble houses and the Hammam bath indicate the living standard and comfort enjoyed by Naryn-Kala inhabitants. 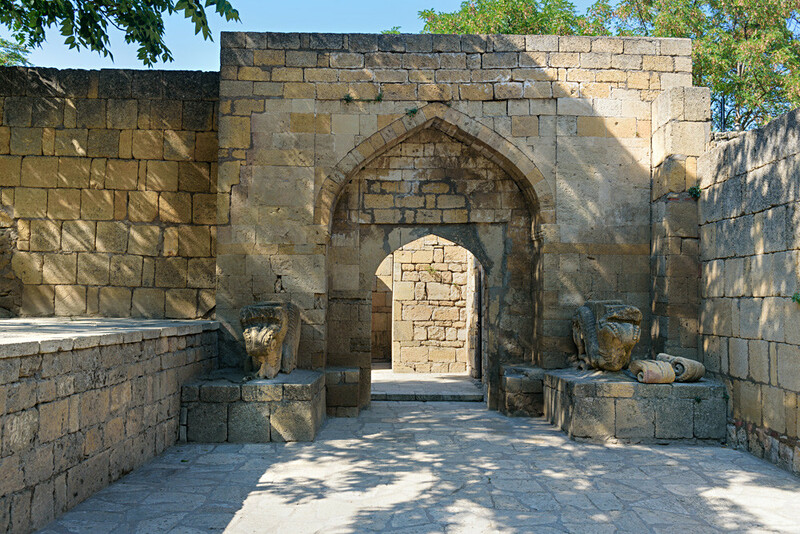 One of the most remarkable sights in the fortress is the so-called “Day of Judgment Gates,” the remains of a sacred Islamic site for rituals. Constructed in the 10-11th centuries, the “Gates” were believed to be a portal to another world. Medieval mystics were sure that Allah could be heard there. 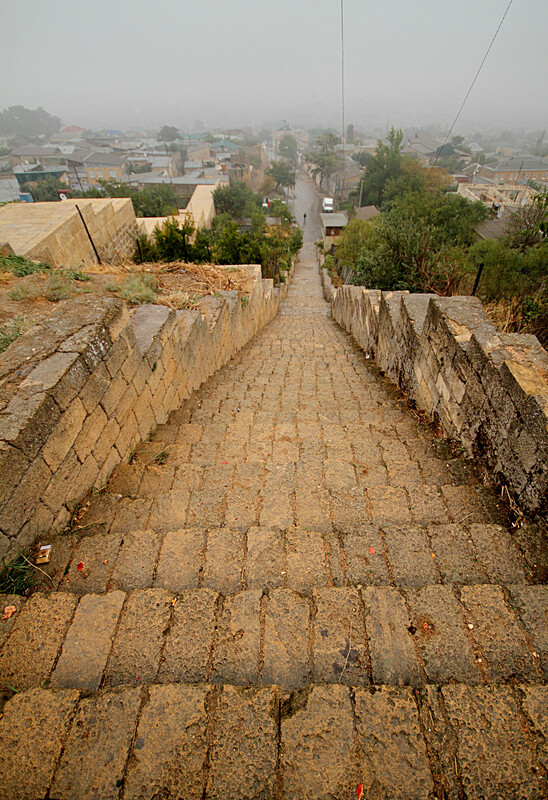 The ancient city of Derbent has much to be proud of. Not far from the citadel Naryn-Kala stands the oldest mosque in Russia. Find out how it managed to exist for more than 1300 years. How has Russia’s oldest mosque stood for 1,300 years?